Much in the way that I had maintained an irrational distances from thinner cuts of pork, I also have an irrational belief that the more complicated a recipe is, the better it inevitably will be. It’s a thing; I feel the need to demonstrate my kitchen skills with elaborate and complicated dishes. But one night earlier last week, Tania and I were in need of a healthy, quick, and inexpensive weekday meal. The only thing that could even possibly meet those requirements was some of the pork then residing in my freezer. I took out a couple packages of chops, determined to make something awesome of them. 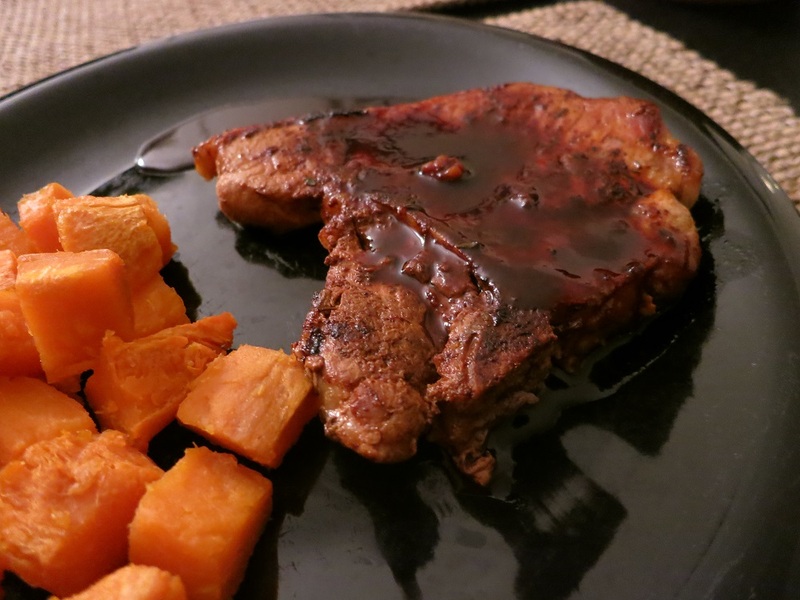 It was only a short while later that I stumbled upon the following recipe for Pork Chops with Ancho Chile Rub and Raspberry Glaze. It was simple. It was quick. And I already had all of the ingredients in my cupboards. Luckily for us, it was also delicious. 1. Combine the first three ingredients in a small bowl. 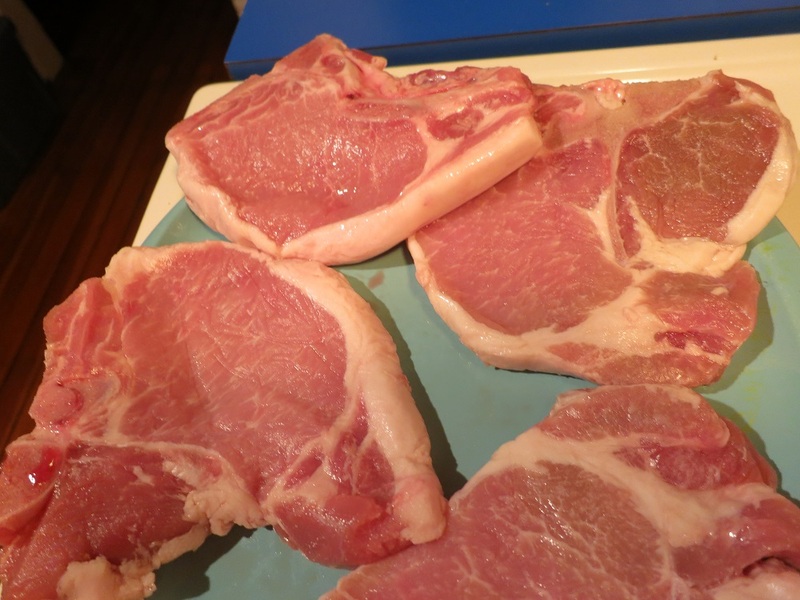 Rub liberally on both sides of each chop. 3. 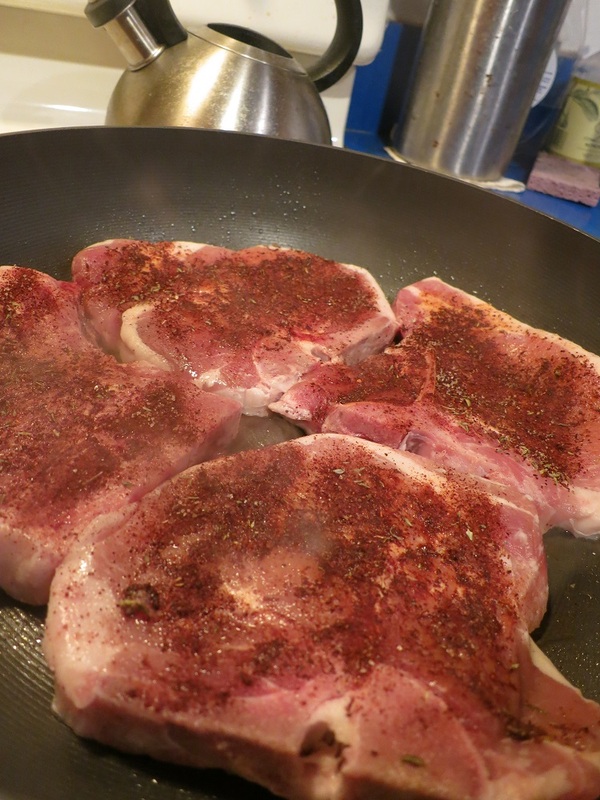 Add pork to the pan. 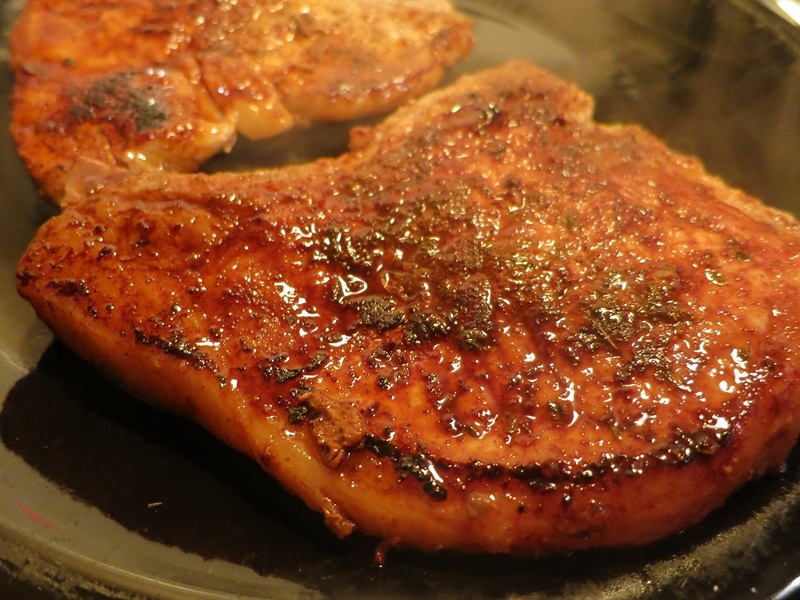 Cook for about 3ish minutes on each side, or until the chops reach the desired level of doneness. Remove from the pan. Cover and keep warm. 4. Add broth to pan, and cook for 30 seconds, scraping pan to loosen browned bits. Increase heat to medium-high. 5. Add preserves to pan; cook 1 minute or until slightly thick, stirring constantly with a whisk. Cover pork with glaze. 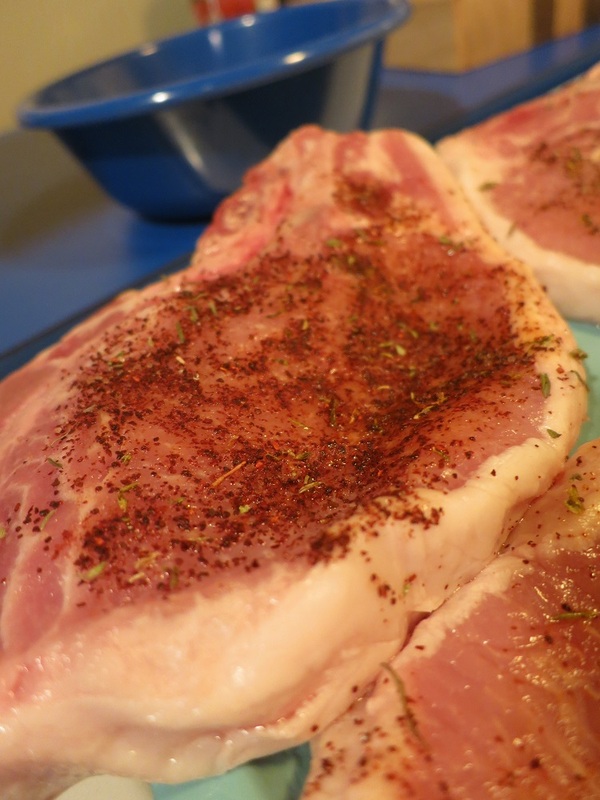 Pork chops — just seasonings, no glaze yet! And that was it! It turned out to be a really flavorful and delicious meal. And from fridge to table took all of 15 minutes or so. We did make one modification: Tania loves sauce, so we doubled that portion of the recipe. It was easy enough to do and the amount of sauce used can be customized for your dinning preference as well. Next time, I may actually use a bit less. It could be that my ancho chili pepper is getting a bit long in the tooth (it is), but I felt that at times the sauce covered up some of the bite of the chili pepper. So you may want to take that into account when dressing yours. Other than that though, the recipe works great as is! The finished product, glaze and all.